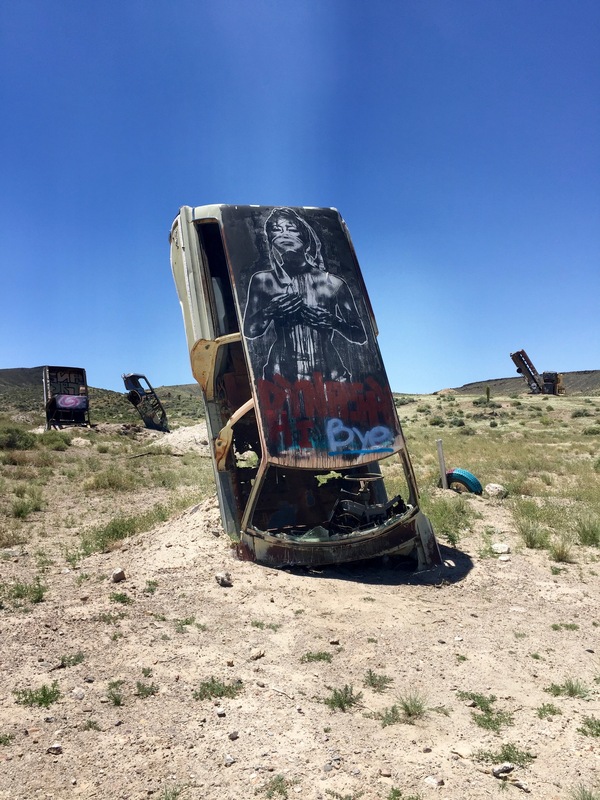 I went on a road trip on Memorial Day weekend through some of the old towns of Nevada. These are some of the stops we made and had fun. 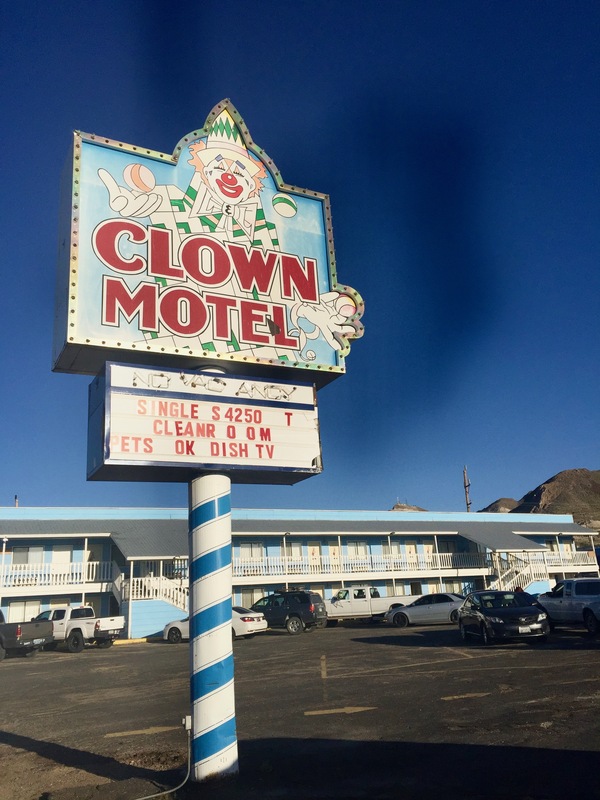 The Clown Motel in Tonopah, Nevada is definitely a place to stop and see when passing through here. 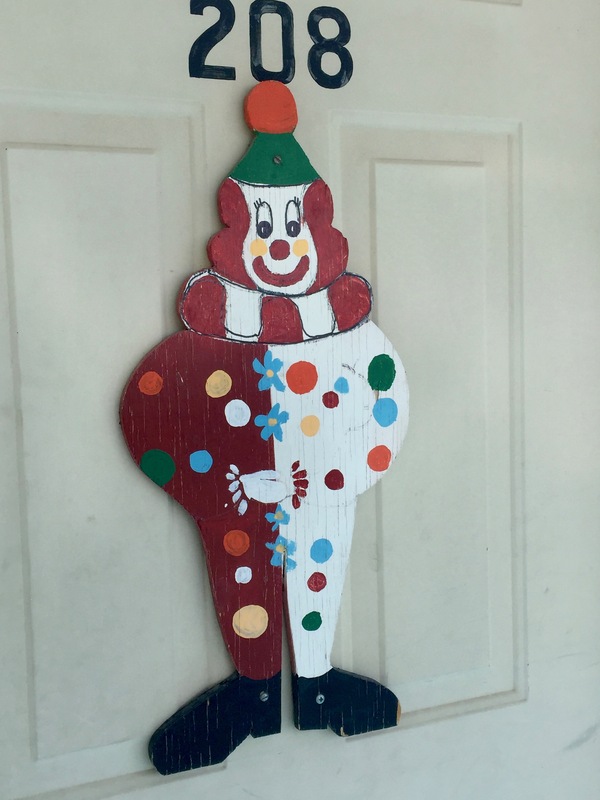 The doors have painted clowns on them, some are faded from the sun. 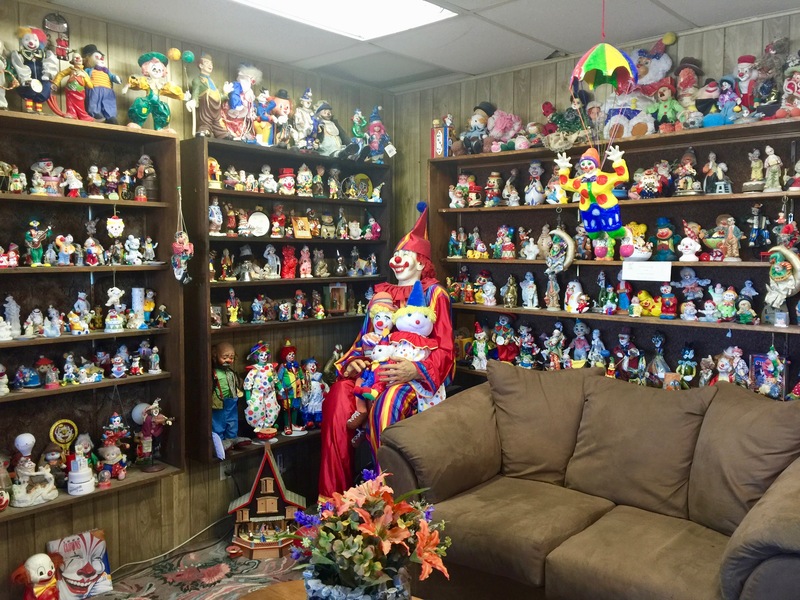 This is the lobby, there is a massive collection of clowns and did I mention there is a creepy little cemetery right next door? 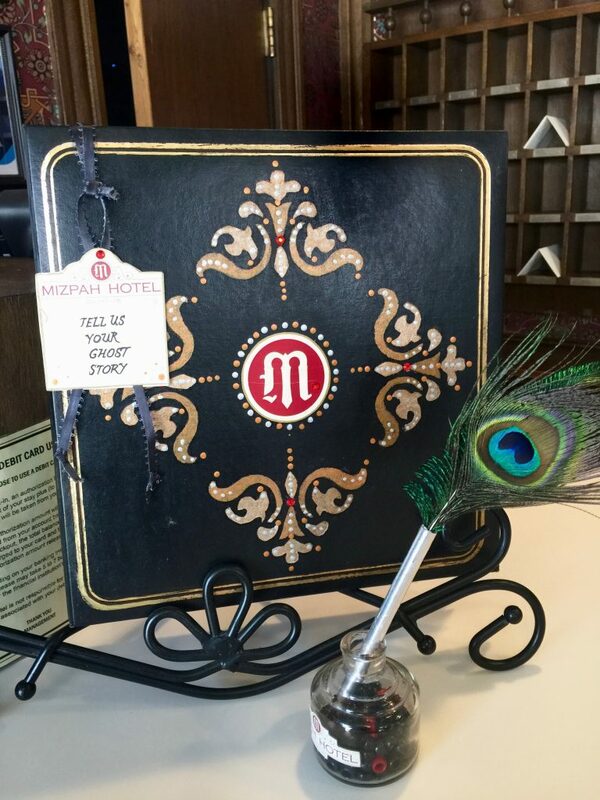 This is the guestbook at the haunted Mizpah Hotel in Toponah, Nevada. This is about a 5-minute walk from the Clown Motel. 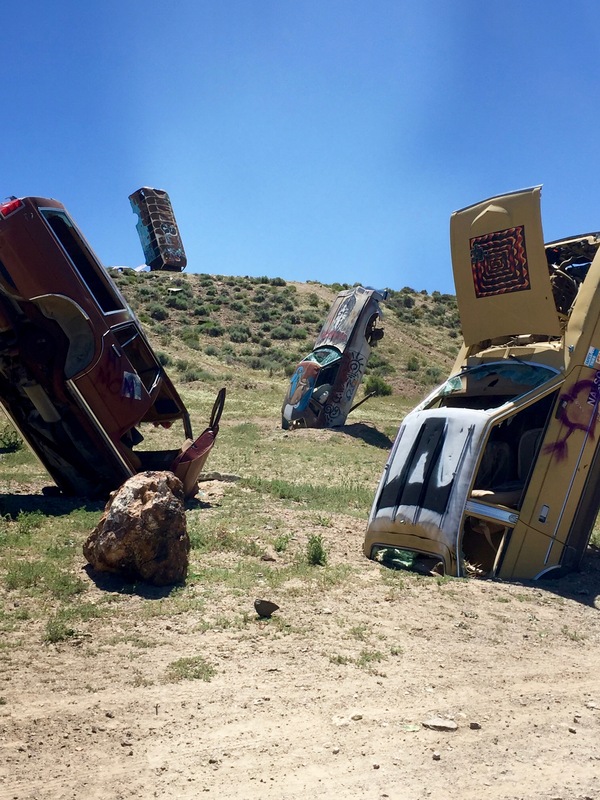 This is an interesting place, it’s called the “International Car Forest of the Last Church” in the town of Goldfield, Nevada. Over 40 automobiles including cars, trucks, and vans have been balanced delicately on their ends or stacked on top one of another, looking like a group of toys some giant child left lying around. Each of the junked cars has been uniquely painted with designs varying from skulls to caricatures of politicians. 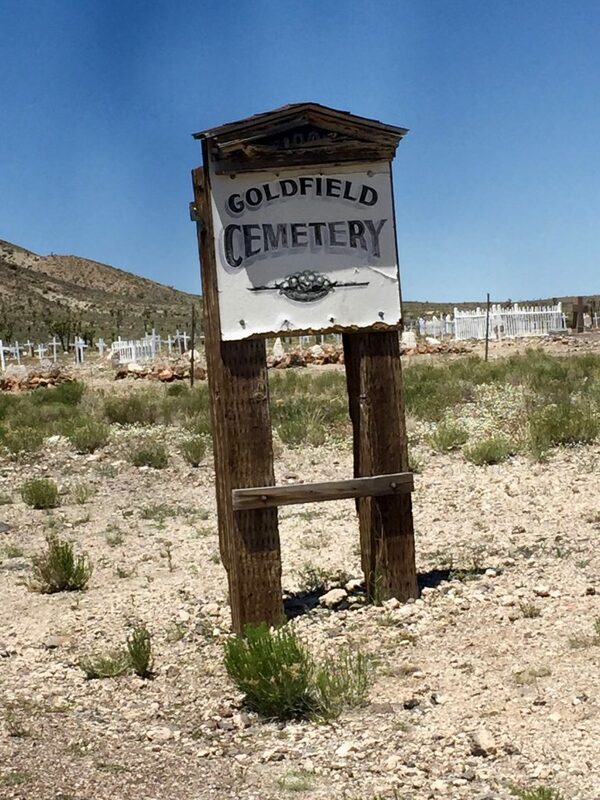 The Goldfield Cemetery was established in 1905 in Goldfield, Nevada.